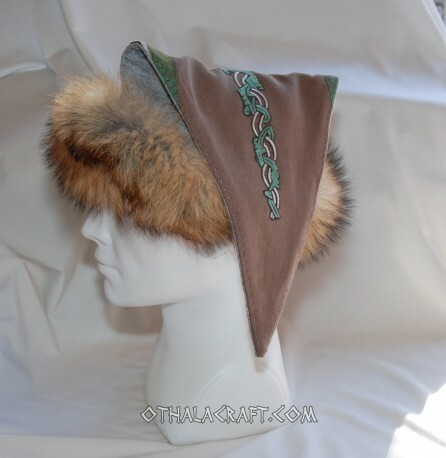 Unique hat in shape of a triangle ideal for Viking. 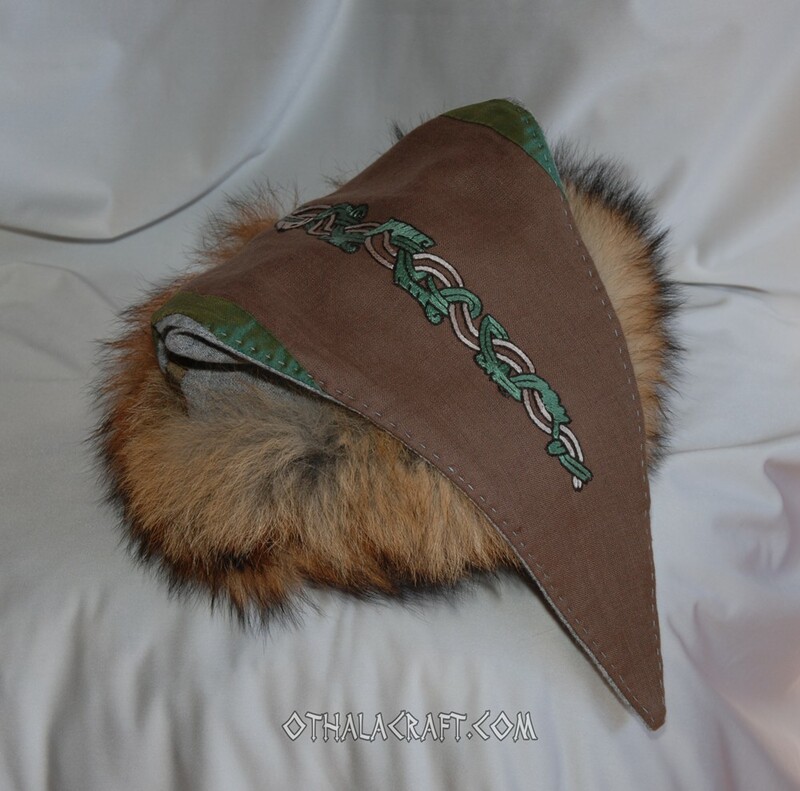 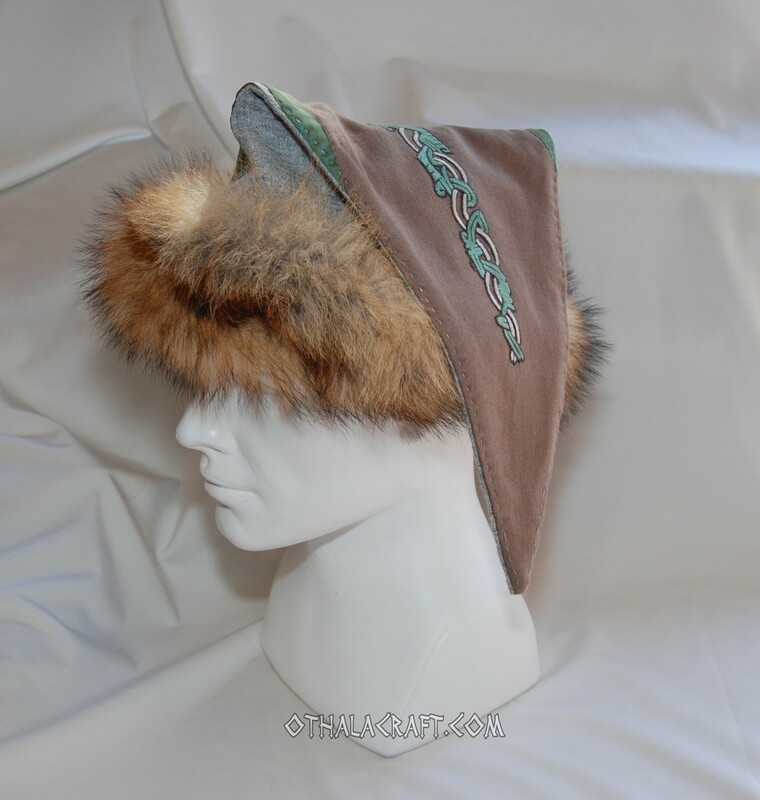 Unique eastern style hat in shape of a triangle ideal for Viking. Made of grey wool 100% with a lining of linen on the inside. 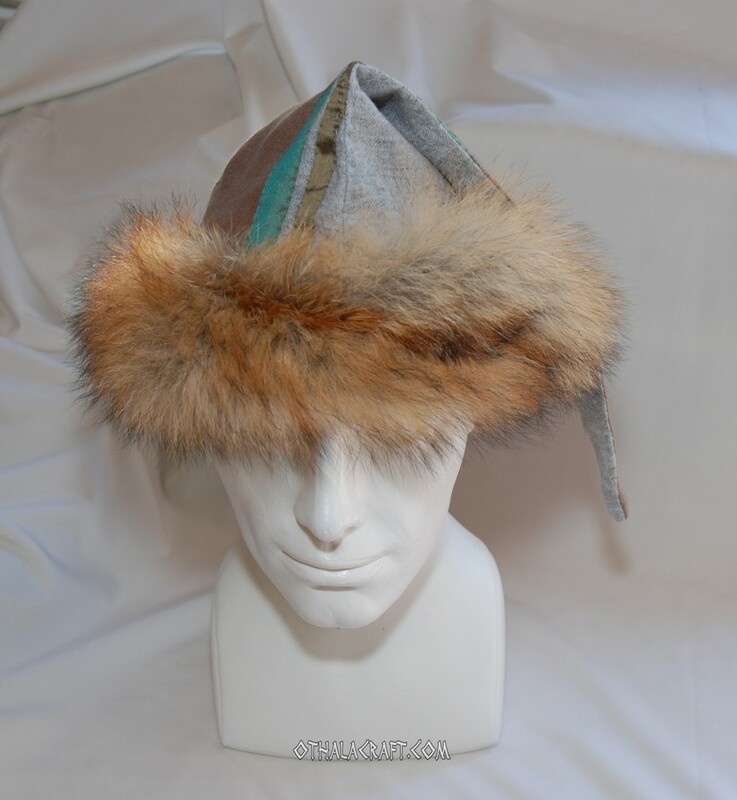 This style has been worn in some parts of Scandinavia (especially Sweden) and in Russia. 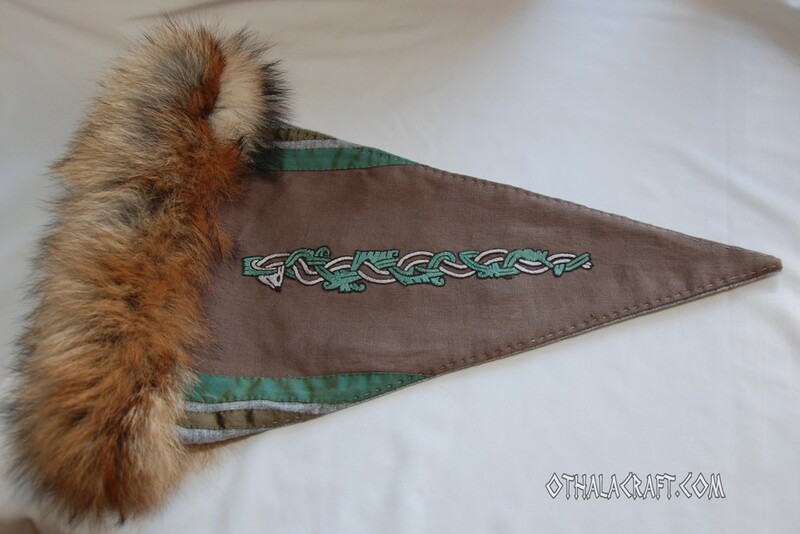 Gorgeous embroidery was made with silk thread on linen fabric which was also decorated with a stripe of green silk. 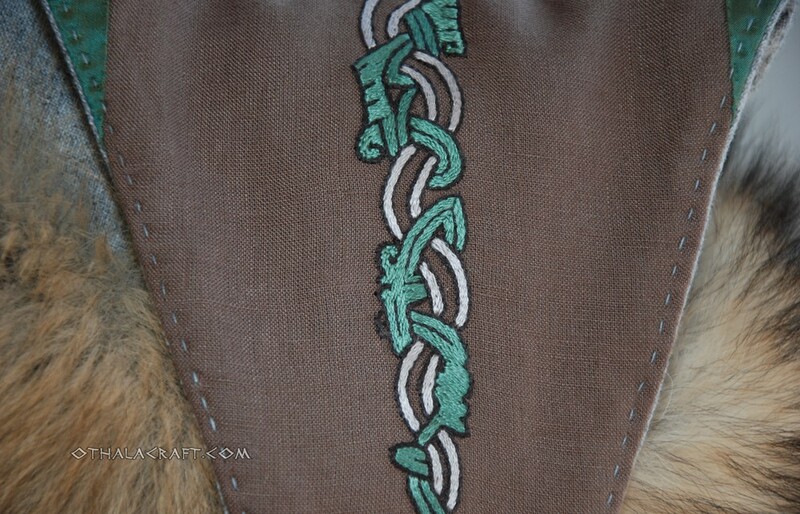 The stitching motif comes from horse collar in Mammen style, size 4 cm x 25 cm. 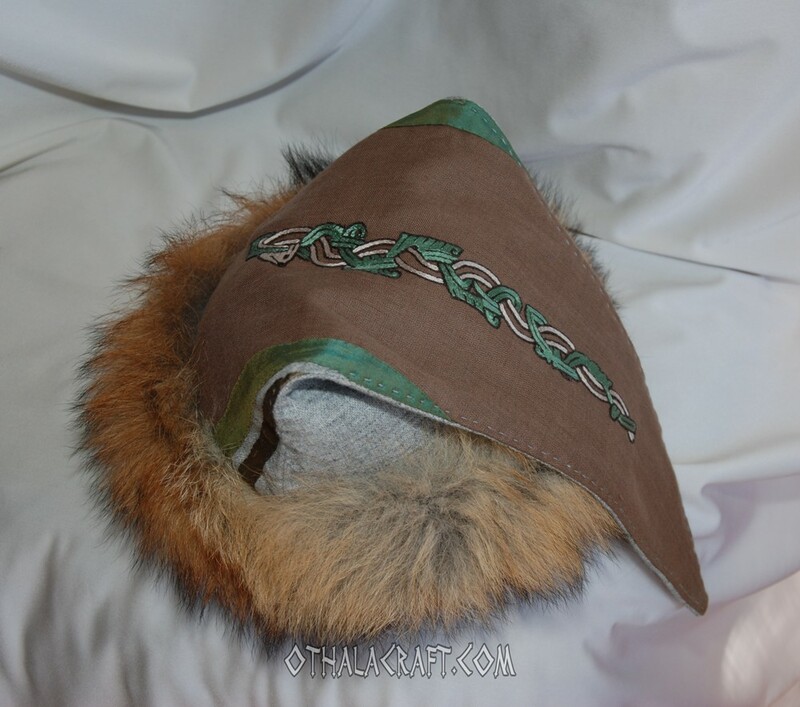 The girth measure on the inside is 56 cm, length of hat 46 cm. 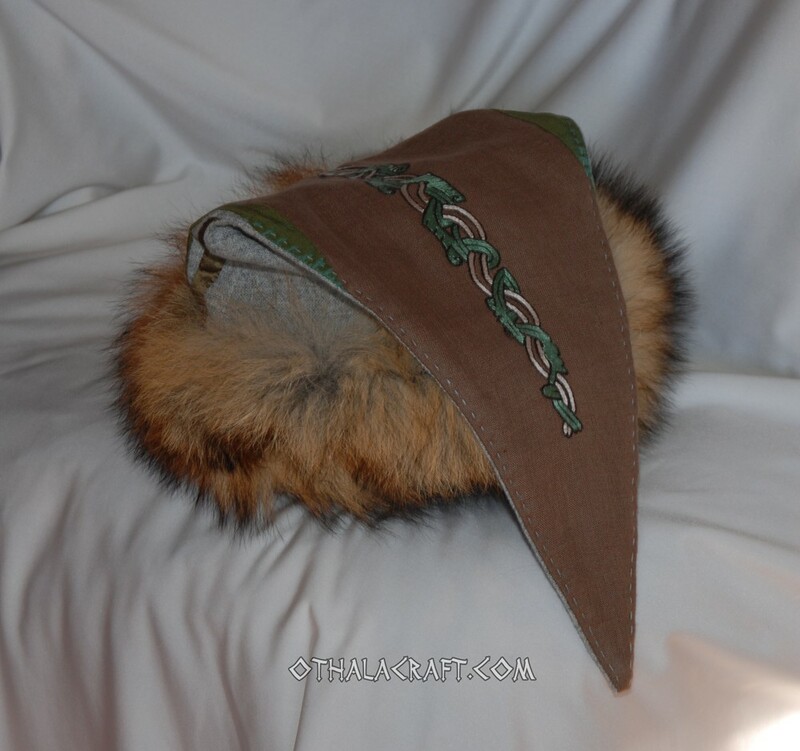 The hat is finished with fur from a wild fox’s tail.